What About the Cash Finder System Scam - A 'Golden Key' to Riches? The Cash Finder System has many of the hallmarks of a scam, claiming that there is “unlimited amounts of money to be made online,” and promising full time income working only 15 hours a week. So, what about the Cash Finder System scam? And… Is it a scam to begin with? Or, despite all the red flags, is it a legitimate way to make money online? My Verdict: The CashFinder System doesn’t merit any consideration, because they don’t even deliver the promised refunds, let alone make good on the promised earnings. Better ALTERNATIVE to the Cash Finder System that will help you make $1200+ a month online. And these testimonials are proof. The Cash Finder System claims that anyone with a smartphone or a computer can spend a few hours learning how to find undervalued real estate and then sending these properties to interested buyers, and collect a finder’s fee from every sale. Also, it claims you can quickly make money in real estate with no experience and no education, and make $500-$5,000 or more on every transaction. The Cash Finder System offers video training on how to become a real estate finder. And how to locate real estate deals in your area. It also offers scripts and templates for sales calls and letters to help you introduce yourself to real estate buyers. Sound promising, do you agree? Keep reading, though. There’s more to come. The cost of the program has decreased over time, originally claiming to be worth $999, but yours for a limited time for just $99. Now the discount is even steeper, and you can register for the Cash Finder System for only $49. So at least you can contact the registrant if you should ever need to. By the way, he seems to be a real person (and not a fake character). The Cash Finder System exists in a scam grey area. Can a person make money as a real estate finder? Yes. Despite the scammy claims, advertising techniques, bad graphics and redundant URLs, being a real estate finder is a legitimate job and lots of people make money in the field. 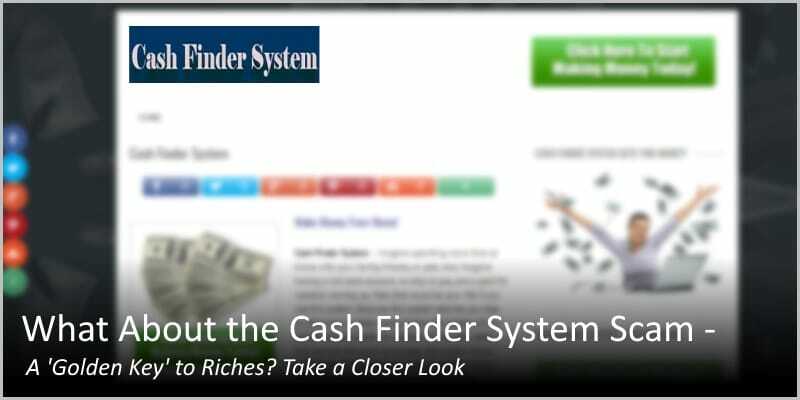 Is the Cash Finder System the best way to do it? No. The truth is, there are hundreds of thousands of people out there looking to make profits on real estate deals. 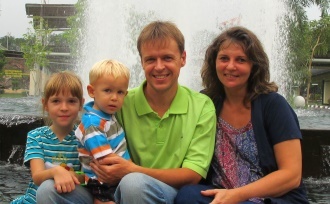 Many of them are realtors, professional brokers, or experienced contractors. Fully 75% of licensed real estate agents work as finders. Can you imagine! They are the people who already are in the industry. They have in-depth knowledge, all the know-how, and experience assessing properties, estimating the cost of repairs and upgrades, evaluating contracts, etc., etc., etc. They already know how to make money off of real estate deals. Remember, any newcomer is going to face steep competition from the hundreds of thousands of (often highly skilled) people already in the industry. …It means traveling to tour properties, visiting auctions, or assessing distressed properties. It definitely is not a business that can be done for 15 hours a week with a smartphone. If you don’t know anything about repair and rehab, you will need to learn. Because it’s your professional assessment that persuades a buyer to make a deal. In fact, the best way to earn money as a real estate finder is to identify homes that are not yet on the market. Why? Because by the time they are listed you don’t have an exclusive deal anymore. Therefore, many real estate finders evaluate houses, looking for a good deal. Then they attempt to persuade the owners to sell for a good price. It’s the best way to get the deals you want. But it obviously means lots of in-person work, research, persuasion, and rejection. Being a real estate finder is an actual, legitimate career. It requires time, training, expertise, and travel. You definitely won’t get those from watching a handful of video lessons online. And you certainly can’t do it by simply copying, pasting and sending form letters. That’s why real estate professionals have specialized training and are licensed. And that’s why I cannot recommend the Cash Finder System. Now that you know what the CashFinder System is about, you can save the money by keeping it in your pocket. There are lots of online listings for real estate, and even free scripts and templates for sales materials. The CashFinder System isn’t worth paying for, which is why they won’t tell you up front what it is. Changing domain names is a typical habit of outright scams. And there’s a reason for this. When an online fraud is discovered, government officials usually close that scam site down. Closing down the site does not stop the scammers, though. They open the exact same site under a new domain name and the show goes on. That’s the main reason behind changing domain names. Now you can find it here: cashfindersystem.net. See! The first domain is registered in January 2016, the second one in January 2017 (a year later). Why move the site over if you are a legit business? Be very careful with all kind of Make-Money-Quickly opportunities. Why? Because success online (and offline) requires time and effort. It won’t happen overnight. There are no magic sticks that will turn sand into gold. Listen! Success online is absolutely possible. But you need to treat it the right way. See! Clearly, the lady in the photo is not Olivia M.
Now, let me ask you – If the Cash Finder System is a genuine work-from-home opportunity and delivers as they promise… Why on Earth do they need to fake their testimonials? Don’t they have tons of success stories already? That’s another huge red flag… Have you noticed, legitimate companies always have an About page and a Contact on their websites. You cannot really imagine a respected business site without a contact page, can you? However, none of these three links work. All of them point to the same website -Explodemypayday.com. Weird, no? The problem, however, is not only in these 3 links. Every single “Call to Action” button on the Cash Finder System sales page points you to the same product page. And… Truth be told, that page smells a rat. Seriously! Red Flag #6: What about the Cash Finder System refund? Oh Yes, the Cash Finder System does offer their 60 day “no explanation needed” refund indeed. It’s perhaps not a surprise to know that, in addition to the basic training offered in the Cash Finder System, there are a number of addons and upsells once you’ve signed up. These upsells cost several hundred dollars, and there are a number of online reports and complaints of people being charged for upsells they didn’t order and don’t want. Of course, it is always possible that those people accidentally clicked the wrong thing, or didn’t read the terms carefully. However, it’s a huge warning sign. Giving it the most charitable interpretation, Cash Finder System isn’t exactly a scam. It’s a shortcut, meant to tell people that they can bypass years of training, networking, and experience just by watching some online videos and doing web searches, and earn thousands of dollars in just a few hours. It’s deceptive, but not outright illegal. And, in case you can’t tell by now, it’s not a good use of your time or money if you want to make a living online. Skip the Cash Finder System. If you really have a passion for real estate, and want to become a finder or flipper, it is potentially a lucrative and rewarding career. In this case, the best way to get started is to find some classes and training opportunities directly related to the industry, to build your skills and your network at the same time. If you simply want to make money online, real estate isn’t a great option, because so much of it really does need to be done in-person and on-site. Either way, skip the CashFinder System. Because the CashFinder System is about promising shortcuts where there are no shortcuts, and offering rewards that you just won’t see. Plus, it is dodging complaints when you try to get a refund. Thank you for reading the “What About the Cash Finder System Scam?” review. Now that you have reached the end of it… What are your thoughts on it? Do you have any experience with it? Please share by dropping me a comment below.